When you’re going through change of quitting drinking alcohol, normal life gets further and further away from you but normalcy does return. Today, I want to talk about the normal life. Or the thing about normalcy. As with any behaviour change the more you get into this, the more you’re going to see that behaviour change takes you getting outside your comfort zone. The changes are going to be made rather slowly. They will be hard to take in the beginning because it seems like your whole life is turned upside down. 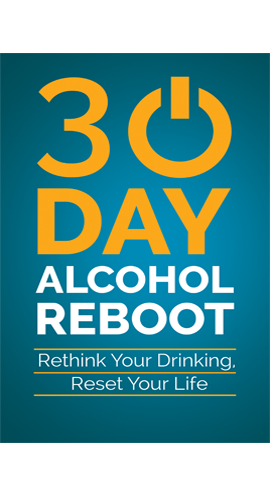 When you’re making this type of a change, the alcohol is sort of the first part you take out, but it’s a small part, the rest of it is involved with making those changes and taking apart the old lifestyle of your alcohol drinking, all the different behaviours involved within drinking and dismantling that whole framework. The more you get into this, the more you realise that there are also other parts of your life that you’re going to want to change as a result. So, not only will you start to take apart the alcohol parts of this thing, you’ll also find that there are other aspects of your life that went along with the alcohol that you just don’t want anymore. Because, once you get deeper and deeper into it, the further and further away you get from alcohol the more you’re going to find that your whole perception changes. Once that changes, you will find yourself in a position where there will be a whole lot of different areas in your life that are detrimental to your life. Your thinking is going to change and because that changes, you’re thinking about other areas. All the time, it’s going to have a changing effect on other areas of your thinking. It’s a gradual process, it’s not going to happen overnight, so you’re not going to notice it like a big change. 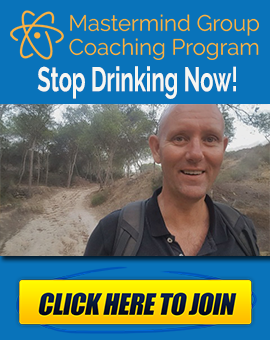 Biggest thing at the beginning is that you have that big change of drinking and the next day you’re not drinking, and the habitual drinking that’s going to pop up its ugly head, so all the behaviour you’re going to find, your mind telling you to drink…it’s not the alcohol telling you to drink, it’s the habit, the basic habit. It’s those little behaviours you used to do and don’t do anymore, and that your mind is trying to tell you what to do. They go into your subconscious and these triggers fire off. It’s like you put a record on, and it goes from the next track to the next. You put it on the next time, it goes exactly the same way. It goes through the same routine. So, this is the same way as your habit works. Once the trigger fires off and the certain time you wold normally drink, that fires off and it goes into this motion of one thing after another, a program starts. It’s that program you have to break down. That’s what you have to deal with in the beginning. The more you get into it, the more the normalcy breaks down. You don’t feel like yourself anymore, and this is the beauty of habit change. The terror at the same time of habit change is that you’re no longer yourself, but that’s what you’re tying to be. You’re trying to get from your drinking self to your non-drinking self and you’re trying to get away from being that person anymore. You don’t want to be that person, so you have to change who you are. In order to do this, you have to push yourself outside your comfort zone and into an area you’re not used to being. And, you don’t feel normal anymore. The further away from alcohol you get, the less normal you’ll feel in yourself. The further you get away from alcohol, you will become a different person, a new person. Your normalcy is returning in a different form. Imagine if we didn’t have it. Imagine if we didn’t have habits. It’d be like you going down to a supermarket, and every time you go in there, everything has been changed. All the shelves have been altered, all the food not being in the same place, the fruits and vegetables are somewhere else. All these things are changing. You’ve got to search around, instead of being unconsciously able to go from one area to another and basically follow a different routine, you’re now having to look around for everything and consciously ask ‘where is the rice, the cornflakes’. That’s the same thing you will go through in your mind. When your habit is changing, your mind is still trying to go through this old routine, it’s still trying to be normal and do things on the unconscious level but everything’s been altered. And now you have to start thinking of what to do in a particular situation. This is where the discomfort comes in. I know this is a rambling post but you know what I’ m saying. You start out with normalcy, ‘drinking is a thing that’s normal. It’s a thing I do and other people do, so now I don’t feel normal, I feel abnormal. My whole life feels abnormal’, but the more you get into it, the more the normalcy will change. It will adapt to who you are and you will become normal again. Maybe not to the outside world, when you don’t drink, you’re going to be considered as not being normal. It’s your life and your body. There’s no point following the crowd if it’s going to damage you. You don’t want that, what you want is for your normalcy to follow you around, and you will begin to seek out people who are not laughing at you or making fun of you. You start seeking out people who make you feel like what you’re doing is normal. You’ll eventually get through it. I think your life will be 100 times better because you’re doing this for yourself and not other people. You’re doing things that contribute to your health and wealth. I thought I’d do this today and just talk about normalcy. Normalcy is conforming to a standard, it’s being average. Normalcy to one person is not normalcy to another person. Normalcy to you now won’t be the same as it is when you stop drinking. Normalcy for me, I can’t even imagine going back to that now, or going back to all that drinking, or to any other lifestyle elements that I changed. I’m directing my own behaviour and habits. I feel just as normal now as I didn’t back then. It’s difficult in the beginning to change. You’re taking the alcohol out and there are so many different elements involved in that. Once you make that change, the discomfort is a diminishing part of your life. 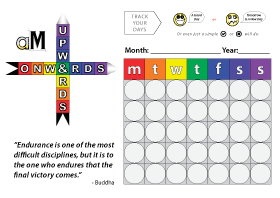 Once you can take those first few days or weeks, get through those and you’ll find it plain sailing. Come on over to the website and subscribe to the newsletter. Subscribe to the link down below. Subscribe to the channel if you’re on YouTube. WHO DECIDES WHAT PASSES FOR NORMAL ANYWAY? I enjoy your “ramblings” Kevin and listen to one everyday. 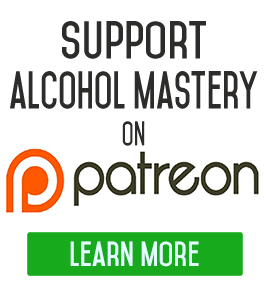 Also, I’ve purchased your “How To Stop Drinking” course on Udemy and am about to launch another attempt at making change for myself. smooth lesson on transition. And what I mean is it can be a smooth transition into sobriety, once we get our habits are changed and altered.